This June 12, 2018, file photo shows the Facebook logo on display at the 2018 CeBIT technology trade fair in Hanover, Germany. 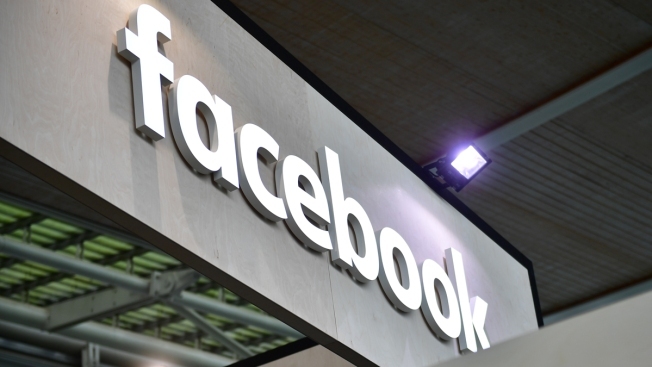 Some Facebook users were reporting that the site was down for them on Monday. For those experiencing the outage, opening a page on the social media site revealed an error message reading, "Sorry, something went wrong. We're working on it and we'll get it fixed as soon as we can." Facebook appeared to go down just 1 p.m. ET. Users started to report that it was back online about 30 mintues later. A Facebook page that tracks the platform's status said it was healthy after having been inaccessible. The website outage-tracking site Downdetector reported a spike in reports of problems with Facebook starting before 1 p.m. ET. A map showed the outages concentrated in the Northeast and Midwest of the United States. NBC has reached out to Facebook for comment. The company hasn't issued any tweets. Refresh this page for more on this breaking news story.